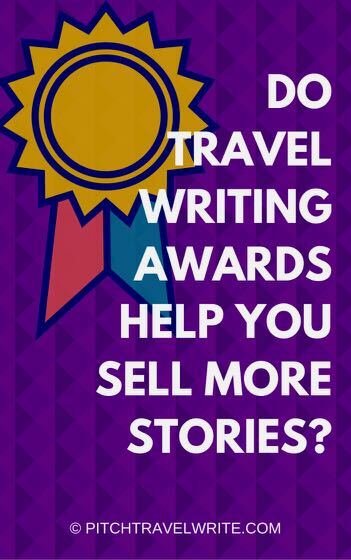 Do Travel Writing Awards Help You Sell More Travel Stories? These writers promote their travel writing awards on their websites and mention them in their query letters. The hope is they’ll impress editors enough to commission their stories. But, just how effective are these awards at securing assignments from travel editors? Should you spend time chasing them? Ever since I started travel writing, I wondered, “If travel writing awards can help me sell more stories, I want in!” But I wanted to find out if competing for travel writing awards justified the time I’d spend doing it. Are you likely to be impressed enough with award winning travel writers to commission their stories? 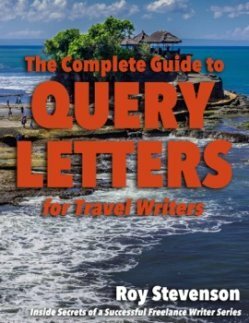 What do you look for in a travel writer’s query that will help you decide whether to buy a story? The editor’s comments were eye-openers! And they were very generous in providing important insights into their selection process. “No, awards don't impress me, they are given out by associations like candy. How skilled and talented is the writer? If the answer to the first question is yes, I look at the query letter itself to begin answering the second question. If it’s grammatical and the pitch is well stated, I usually ask to see unedited Word files of past articles rather than published clips so I can gauge what the person’s work looks like before an editor gets hold of it." “No, not impressed enough with travel writing awards to commission their stories. While awards are impressive, you only win one if you submit for an award. Plenty of solid travel writers never play the award game. Just because a writer wins an award does not mean they are going to be a better contributor than one who has not. I have worked with award winners who have missed deadlines and even forgotten assignments altogether. “Impressed, sometimes perhaps, but awards don’t sway me to commission stories or assign writers on media trips. There are many award-winning travel writers whose style may not be appropriate for our publication. Some never meet deadlines or have an attitude, and are more trouble than they are worth. Some may not accept our fees. Some submit sloppy work. I prefer to commission travel writers who are personable, consistent, detail oriented, on time, accurate and respectful to everyone — especially if they are representing our publication on media trips. These qualities are much more important — and impressive — than awards. Has the proposed topic or destination been covered recently, or have we already commissioned a similar story from another writer for future publication? Is the story timely? In other words, fall and winter issues in Canadian magazines tend to cover ski or sun destinations, fall drives, cruising, Asia, South & Central America, Australia/New Zealand, etc., while spring and summer issues feature American, Canadian, European destinations and outdoor activities. These four travel editors from around the globe were unanimous in saying they don’t pay much attention to travel writing awards. They’re much more interested in well-written articles that are a good fit for their magazine. And they look for writers who are personable, consistent, detail-oriented, and accurate. Winning an award doesn’t necessarily result in quality work, as some of these editors pointed out. What counts in travel writing is putting together a good pitch that fits with what the magazine needs. That’s how to get your stories published. If you enjoy play the awards game and get some personal benefit from competing in the game, then go for it! But do it for fun and to fulfill a personal need. You won’t gain credibility with editors – or get the assignment – just because you won an award. You’re better off using your time and energy to match your story idea with what the magazine needs, and then writing a good query letter to get the assignment.